The short answer is yes, but it requires more than just knowledge. There are people that have acquired enough knowledge about trading, but cannot apply them when real money is at stake. Why? They still have yet to master a level of self-control that often runs counter to natural human behavior, or at least come up with some way to control it. Let me offer an example of self-control. Let’s say Bob reads about and practices a rule that says invest no more than 20% of his total account in any given trade. And let’s also say that he learned about a particular pattern and have traded that particular pattern for a year and found that 9 trades out of 10 have resulted in at least a 10% return over a 6 week period. With that kind of return and a 90% success rate, he could make some SERIOUS money over a relatively short period of time if he just invested 50%, for example, per trade. With the current market, his chances of making a fortune is pretty darn good! He could just take his millions from the market, quit trading, and live the “good” life. Now be honest. Could you just walk away from a market that’s literally printing you money? Or, should you milk it while the going is good? But what happens when Bob suffers 10 losses in a row? He will probably hesitate to jump back into the market and “wait and see,” only to find out that this was the moment he should have gotten back in. Now this is only natural since after being beaten up several times, fear tells him to be cautious next time. Can you see how becoming a successful trader doesn’t happen overnight? So, back to the question: Can you become financially free trading? Only if you’re willing to learn, make mistakes, can accept lose losing trades, learn more, never say “I got it,” and continue learning for the rest of your trading career. 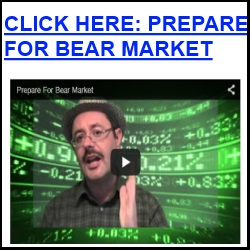 Beginners and those who don’t have a trading plan yet, you can start for FREE right now . Get stock trading lessons and some stock picks emailed instantly from an “underground” Hedge Fund Manager here. Another thing, in order to gain financial freedom trading, one must build up enough capital (money) where the return on their total portfolio is enough to support their expenses and keep up with inflation. For example, if one has $50,000 of trading capital and manages to realize a 20% return, he may set aside 5% for inflation and take only 15% of return for living expenses. That’s only $7,500 a year (less taxes). Is that enough to cover your expenses? If yes, then you can gain financial freedom trading with only $50,000. Not many people can live on $7,500 a year, but that’s why I wrote that cutting your expenses is one way to gain financial freedom faster. So again, can you gain financial freedom trading? It is possible but you need to realize that it is not easy money (although hot streaks may convince you that it is), learning about how you behave takes time, and you will have to build up a big chunk of change to support your living expenses.